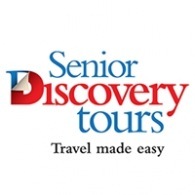 All Senior Discovery Tours tours, river cruises, expedition cruises, and adventure trips. Find the best guided trips and expert planned vacation and holiday packages. Average rating of 4.0 for all Senior Discovery Tours trips. Explore San Jose see the historical monuments, museums and parks of San Jose. Take a leisurely cruise on the Sarapiqui River. Visit charming Dunedin to see historic Larnach Castle. Visit the magical Ruakuri Cave for a subterranean tour. Visit the ancient water town of Zhujiajiao. Opportunity in deluxe ship for our Yangtze River Cruise. Opportunity to tour over to the mountain city of Chefchaouen, known as the “Blue City”. Drive along the Apache Trail into the Superstition Mountains for an old-fashioned boat ride on Canyon Lake. Stroll through Mesa’s sculpture-laden town center.